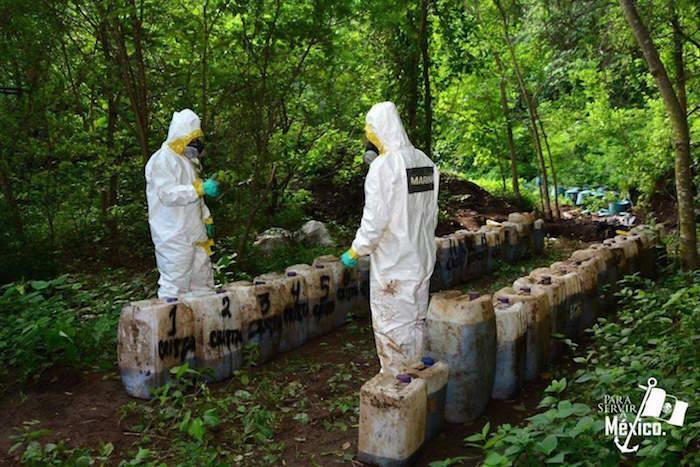 After locating a massive drug laboratory near the town of Alcoyonqui, in Culiacán, Sinaloa, personnel of the Secretariat of the Navy seized 50 tons of methamphetamine, allegedly from the Sinaloa Cartel, in the most significant drug bust of this kind in the history of Mexico. 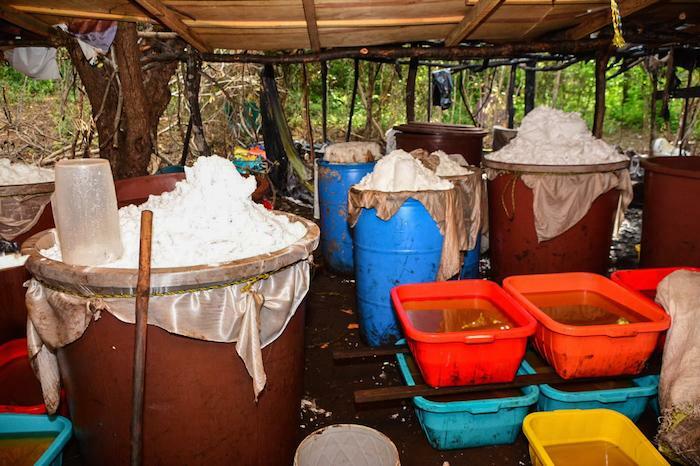 According to Sin Embargo News, the Secretariat of the Navy (Semar) said the synthetic drug was discovered in a rustic laboratory and two separate underground bunkers. The military operation, which began on Thursday evening, involved roughly 50 troops. It was only until Friday morning was the size of the cache realized. 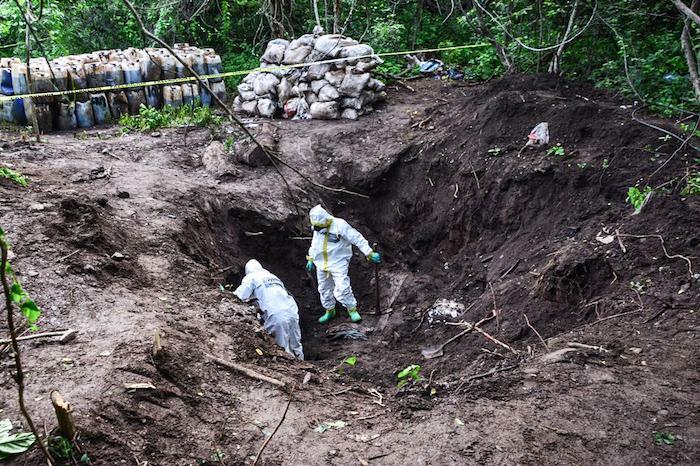 A military source said the camp, of about 500 square meters, was operated by the Sinaloa Cartel. The laboratories were divided into four sections for the preparation of chemical precursor or base, rest, reactors, and cooling. Within the rural compound, there was a building for at least 30 people, but military personnel did not find anyone during the operation. 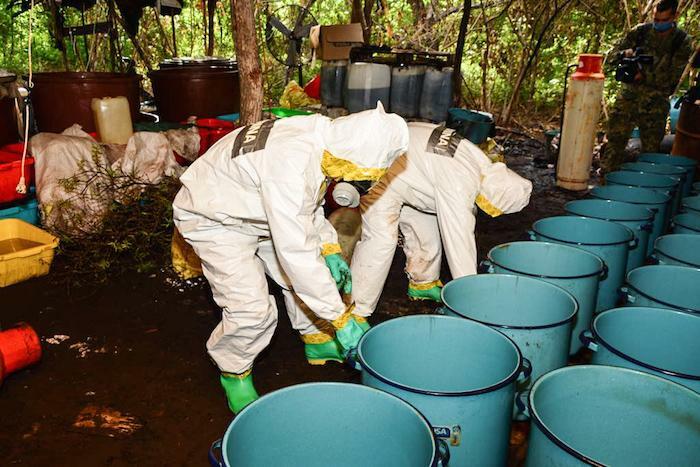 With the area fairly camouflaged from above and the surrounding town, troops found 180 drums, with a capacity of 60 liters (15.5 gallons) each, with stored meth. Authorities estimate 47 to 50 tons of the drug have been counted on site, both in liquid and solid forms. 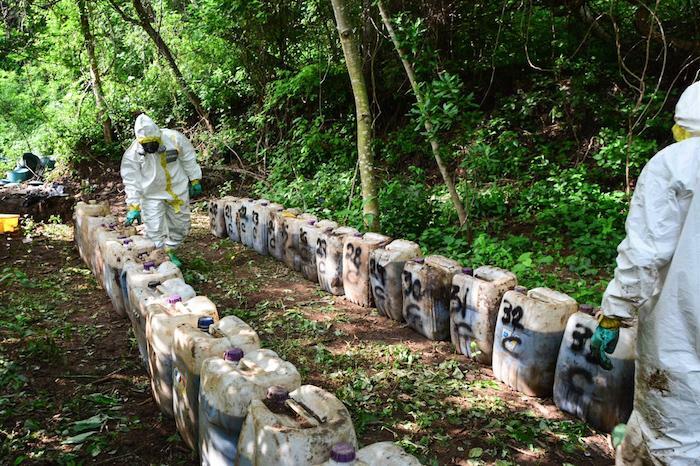 “The largest confiscation of finished meth in the history of Sinaloa”, said the military official. Military sources said the quality of the meth is high. A daily kitchen of this size can produce 200 kilos of meth (440 pounds). “The average cost per pound is $ 5,000 on the US border, and in Sinaloa about 25,000 pesos per pound (1,300 dollars) is paid,” said one of the military officers who participated in the operation. 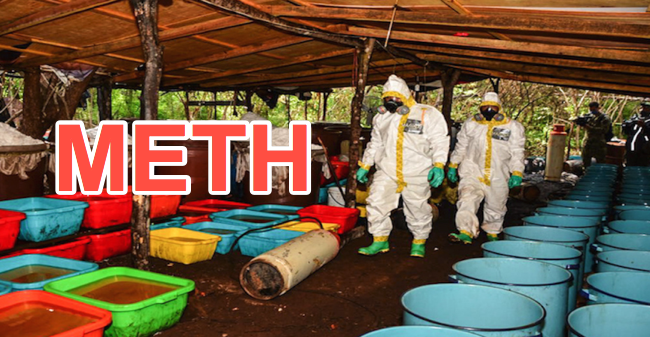 The meth superlab in Mexico is very disturbing because ultimately it will end up in America’s inner cities and rural towns. The Centers for Disease Control estimates drug overdose deaths based on a current flow of mortality data from the National Vital Statistics System has just reached a record of 71,568 Americans in 2017. That is a 6.6 percent jump in overdose deaths over 2016 and represents a rapid deterioration of America’s inner core: The middle class. Here is a simple question: If the economy is the “greatest ever” as President Trump has described on Twitter countless times, then why are record Americans dying from drug overdoses? As long as the American middle class continues to fracture, they will continue to demand low-cost drugs from Mexico.